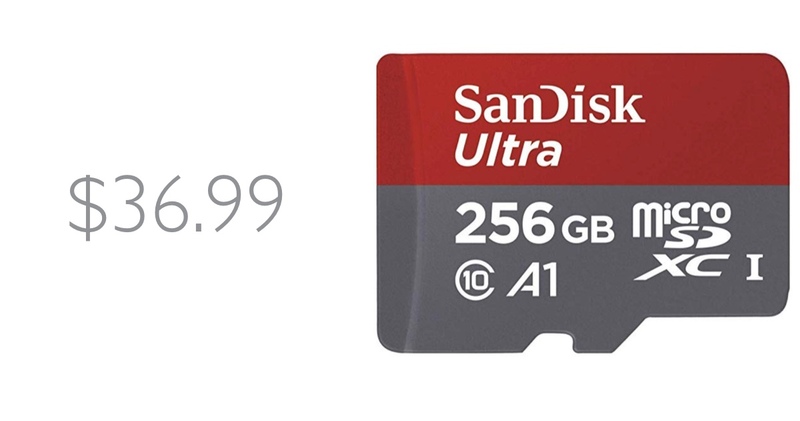 We’re back with another deal on a microSD card, and this time it’s a 256GB card from SanDisk for just $36.99. Having a microSD card lying around for later use is always a good thing. If you have an Android phone or tablet, or a drone or action camera that can shoot 4K video, more memory is always better. Today’s deal on SanDisk’s microSDXC card has 256GB of memory, and is the perfect little addition to all of the devices we’ve mentioned above. As you can see, this card is really fast, and can handle everything you can throw at it easily. But that’s now the sweet thing about it. It is shockproof, temperature-proof, waterproof and can withstand X-rays too. This means that regardless of where you use this card, you can rest assured that your data will stay secure all the time. This is something not every microSD card can boast. Last but not the least, this microSDXC card comes with an SD card adapter in the box, allowing you to adapt it to devices that are compatible to work with the SD card form factor. In other words, you can shove this thing inside a DSLR too with said adapter.